Paypal is trusted by millions of people around the world for its simplicity and low money transfer charges. 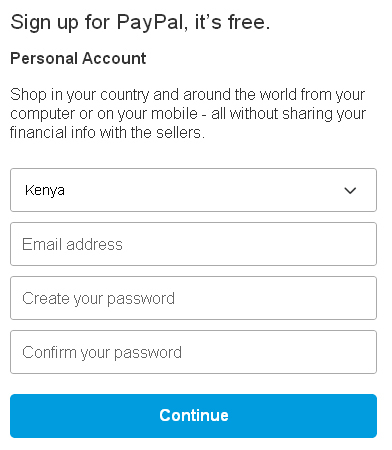 Paypal Kenya enables people to make payments online with their mobile phones. There are many ways to make money online in Kenya. Many Kenyans use PayPal Kenya service for money transfers and withdrawal of dollars earned from online freelance jobs. You can withdraw your money from Paypal’s withdraw option without using M-pesa, using the Payoneer card. The other option is to use Equity bank’s Paypal withdrawal service. Payment from another PayPal user is instant, but moving Paypal funds to your Equity bank account will take 5 to 8 business days to complete. In contrast to the bank option, Paypal to Mpesa is very convenient and fast. You get the cash in your Mpesa account instantly. You can then, at your convenience, use M-PESA to pay NHIF monthly subscriptions, and utility bills such as electricity, internet and digital TV content charges. Lower Transaction charges – As earlier indicated, there is a huge competition among the PayPal to Mpesa withdrawal service providers. This has caused the PayPal withdrawal charges to plummet. Unlike a few years back, you will now enjoy competitive and dynamic rates. The Dollar to Shilling exchange rate changes frequently, and this is reflected in the PayPal to Mpesa exchange rates. Efficiency and Speed – Equity bank lets you move your PayPal funds into your Equity bank and Equitel Kenya account. The process is similarly simple, but takes 5 to 8 business days to complete. The bank option is for people who have no immediate use of the transferred money. But with the M-PESA mobile money revolution in Kenya, you will regularly need to pay bills and services via Mpesa, and this is why a direct Paypal to Mpesa service is more convenient. PesaPay Online Kenya, and other Paypal to Mpesa transfer services, will get the money in your M-PESA account in 5 to 10 minutes. Quality of Support – Good customer relations are absolutely necessary whenever competition is high. Convenience – You do not need to have a bank account to receive payment through PayPal to Mpesa. Most Kenyans are already registered M-PESA customers, and PayPal Kenya registration is FREE. You can then use the Mpesa funds to make payments from the comfort of your home. The Paypal to Mpesa transfer field is now crowded with online websites that provide the money transfer and withdrawal service. But the key thing to note is that they only assist you to make the transfer from Paypal to your M-PESA account. Paypal to Mpesa Kenya withdrawal is cheap, simple and more convenient than the bank option. All you need to complete a PayPal to Mpesa Kenya withdrawal after you earn PayPal money is an e-mail address, a PayPal password and an M-PESA account. Use Paypal Kenya money transfer service to withdraw money from PayPal in Kenya. Click Sign Up at the top of the right hand side of the screen. You must choose from the two types of Paypal accounts, Personal Account and Business Account. 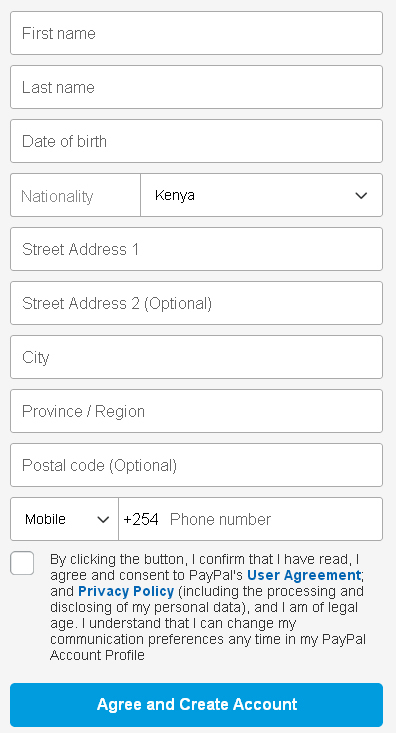 Your country will be automatically selected for you, but you can change from the drop-down list. Select Kenya. Enter all the details including your First name, Last name, Date of Birth, City, Mobile Number etc. 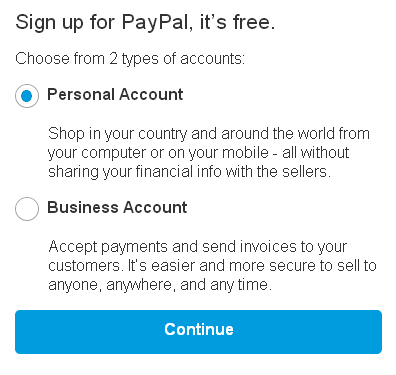 You will receive an E-mail from PayPal to enable you to confirm opening the account and to activate it. Now that you have a PayPal account, the next step is to link the PayPal Kenya account with your Equity Bank account.